The Government on Tuesday approved construction of a worth Rs 30,274 crore Regional Rapid Transport System (RRTS) to connect the national capital with Meerut through Ghaziabad. The 82 km-stretch will be covered in less than 60 minutes by high-speed and green public transit, according to the government. The RRTS is a first-of-its-kind, rail-based,high-speed regional transit system to be implemented in India. Once operational, it will be the fastest, most comfortable and safest mode of commuter transport in the National Capital Region (NCR). Finance Minister Arun Jaitley said after the meeting that the Cabinet has approved construction of (RRTS) covering a distance of 82.15 kilometres. He also said, of the 82.15 kms, 68.03 kms would be elevated and 14.12 kms would be underground, and the project cost would be Rs 30,274 crore. The RRTS trains will reduce pollution and road congestion taking more than 1 lakh private vehicles off-road. Metro services with 12 stations on 18 kms stretch between Modipuram and Meerut South stations on the RRTS infrastructure will meet the local mobility needs of citizens of Meerut, besides providing efficient regional connectivity. 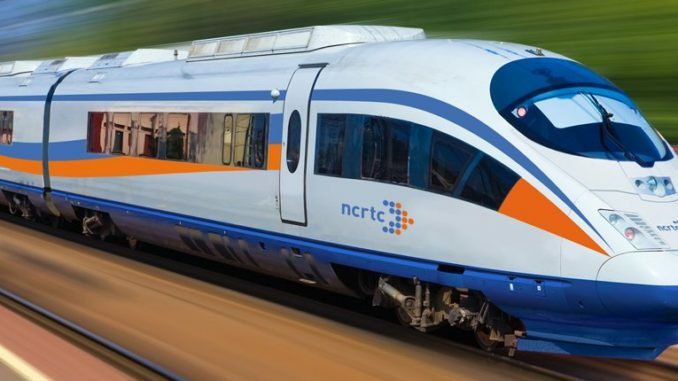 This project is proposed to be undertaken by a SPV (Special Purpose Vehicle) namely the NCRTC (National Capital Region Transport Corporation) as a joint ownership of the Centre and State Governments with equal contribution. The Delhi-Ghaziabad-Meerut RRTS corridor is the first of the 3 priority corridors planned for implementation in Phase-1, It stated. The other two are Delhi-Gurugram-Alwar and Delhi-Panipat Corridors.